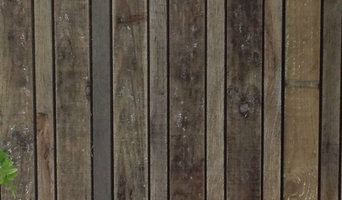 Fimeri and Co Fencing and Landscapes is a family operated business located in Thornbury, Victoria. Our business is fully insured with certification documents provided with every quote. We build for quality at affordable prices with a 3 year guarantee and exceptional workmanship. Adoore Iron Design is a family run and owned business specialising in creating unique entry systems custom designed to meet the highest of standards. 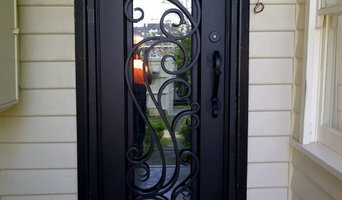 We strive daily to provide the highest quality,custom-built wrought iron doors using only the finest quality materials, all of our doors are custom designed and built to your own exact specifications. Our design team and skilled artisan craftsman create custom precise designs that are installed by our experienced and qualified installation team. At Adoore we value and strive for excellence through innovation, integrity and workmanship. Our mission is to exceed all expectations. Big K has a strong background on specialising fence and gate, we want to make sure our customers has the most valuable and excellent quality products provided by us. First rate quality, competitive price and exceptional service are our motto. We take care of all our customers need. In Big K, there is always one fits for your door. While there are too many options out there and not sure what you can get the best, let us help you. We manufacturing custom made gates for over 38 years and during that time have gained the knowledge and expertise regarding the manufacture and installation of all types of gates. The Pool Enclosure Company (TPEC) are Australia’s leading supplier of telescopic / retractable swimming pool, spa and terrace enclosures. TPEC’s range of European enclosures are manufactured to the highest ISO quality and sustainability standards, by the world’s leading supplier, Alukov / IPC Team. Founded in 2010, TPEC was set-up exclusively to develop the market for retractable enclosures in Australia, and partnered with the World’s leading supplier, have quickly become established as the market leaders in Australia. We pride ourselves on attention to detail, and designing and running the best projects in Australia – with TPEC you will get a high quality, world class product, designed by experts and installed by a professional, experienced team. Our range of European Telescopic Enclosures and Spa Domes are manufactured to the highest ISO quality and sustainability standards by the world’s leading supplier, IPC. IPC are in over 40 countries world-wide and are the leaders in these structures – we represent the IPC Brand in Australia. In 2013 we won a Gold Award – Sustainability category at the Swimming Pool and Spas Association (SPASA) Awards of Excellence. TPEC are National members of the Swimming Pool and Spa Association (SPASA). We recently won 2016 Product of The Year at the SPASA NSW/ACT Awards of Excellence, as well as the 2017 Silver Award – Product of the year. Most recently the 2017 Product of the Year at the SPASA Australia – SA Region Awards of Excellence, as well as the Silver Award – 2017 Product of the Year at the SPASA National Awards of Excellence. TPEC are proud sponsors of Australian record-winning marathon swimmer Chloë McCardel. Servicing all parts of Australia, including remote locations – if you are interested in an enclosure, contact us for a design review. When it comes custom steel solutions, Sidcon Fabrications is known for its creative approach to solving problems. An example of this is the 'Sidturn' Sliding Gate System. But no matter what the problem is, Sidcon Fabrications applies the same attention to detail, workmanship and creative approach to achieve the outcome our customers are looking for. Gateway Gates is a business enterprise which offers high quality steel products including gates, driveway gates, metal gates, steel gates, fencing, charcoal BBQ grill, charcoal spit roaster and gun safes in Melbourne area. Our products can be customized to suit the individual requirements of the clients. We offer our products directly to the customers and hence they come at an affordable price. Our products are of superior quality and we have gained a reputation in providing good service with years of hard work. If you are searching for good quality steel products then we are your best choice. 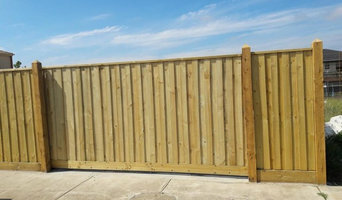 For more information on our vast range of driveway gates, gun safes and bbq accessories, feel free to give us a call us or visit our website..
We are a family owned business that has been around in the local Melbourne area for over 16 years, we specialize in colourbond fencing, garden fencing, aluminium slat fencing, steel fencing, pool fencing, industrial fencing as well as automatic gates, driveway gates, security doors and colourbond gates. All in all we are your one stop shop for all your fencing needs. Whether you’re after standard panels or customized products we can deliver your needs. From residential buyers, commercial buyers to whole buyers such as builders, fence contractors, steel workers etc. We take pride in all of our works and this is reflected in our product quality. All of our custom products are made in our factory, and if you want to, you can even come and have a look at how your fences are made. While we are specialist fencing contractors, we are also a steel fabricator and steel wholesaler. This allows us to sell steel direct to the public at the lowest possible prices. The low prices doesn’t just extend to our steel sales, it also applies to our fencing products. If you can find another quote for a similar product at a lower price we will beat it by 5%. This extends to all of our ranges from steel fencing, pool fencing, aluminium slat fencing, colourbond fencing and gates. As long as it is a similar product we will honour the price beat. This does not mean we sacrifice quality for price, it simply means I wish for you, the customer to try our products and experience our services. Like we always say, fencing has no secrets it all comes down to the details, we can explain those details to you. From material cutting, weld cleaning, zinc priming we will do it all so you get a fence that is truly unique and different. We are based at Hoppers Crossing and we have served the local area quite a bit, this includes areas such as Werribee, Point Cook, Laverton, Sunshine, Altona, Altona Meadows and all of great Melbourne. Further out we have worked in areas in the east such as Box Hill, Templestowe, Bentleigh, Dandenong and many others. In the south we have gone as far as Geelong so there really isn’t an area we don’t service. In these areas we have done large area steel fencing for schools and factories, as well as modern aluminium fencing for offices, we have done garden fencing and pool fencing for residential properties.Now if you have taken the time to read all of this we really appreciate it! More so, come in and have a chat with us for your fencing needs! 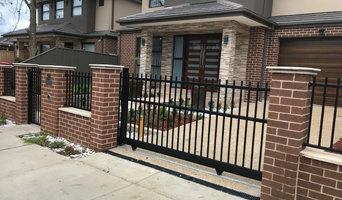 Being a prominent organization, Modern Gates Melbourne has been involved in offering a reliable and durable array of automatic gates that are perfect for both residential and commercial properties. We pride ourselves on quality workmanship and reliable service and our gates bring a sense of convenience that is unrivalled by our competitors in Melbourne. At Modern Gates Melbourne, we have been providing a wide assortment of innovative collection of automatic gates that are made from using the best quality materials and progressive technology; these gates are adherence with quality norms. In order to cater the diversified requirements of our clients, we have been able to provide unique range of gates including automatic sliding gates, residential steel gates, modern aluminium gates, automatic steel gates and many more. Our gates are widely known for their fine finish, stylish designs and elegant look. Along with this, we are a brick infill specialist and we also offer architectural steel fabrication and a variety of welding services. So, from general fabrication to outstanding welding services, we ensure that you will be pleased with everything that we can offer. What does a fencing and gate contractor in Gowanbrae, Victoria do? 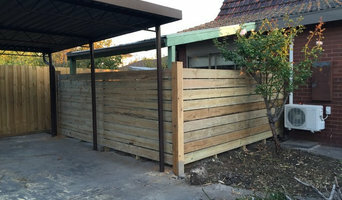 Find a fencing and gate contractor in Gowanbrae, Victoria on Houzz. Scroll through this page to find professionals in your area that can design, supply and install pool fencing, driveway gates, garden fencing and more. You can browse their portfolio, read reviews and see how other homeowners rate their service, expertise and product.